If you have a child who is sensitive to his/her environment, the airport can be overwhelming. The lights can be harsh and the crowds and noise can be scary to a sensitive child. 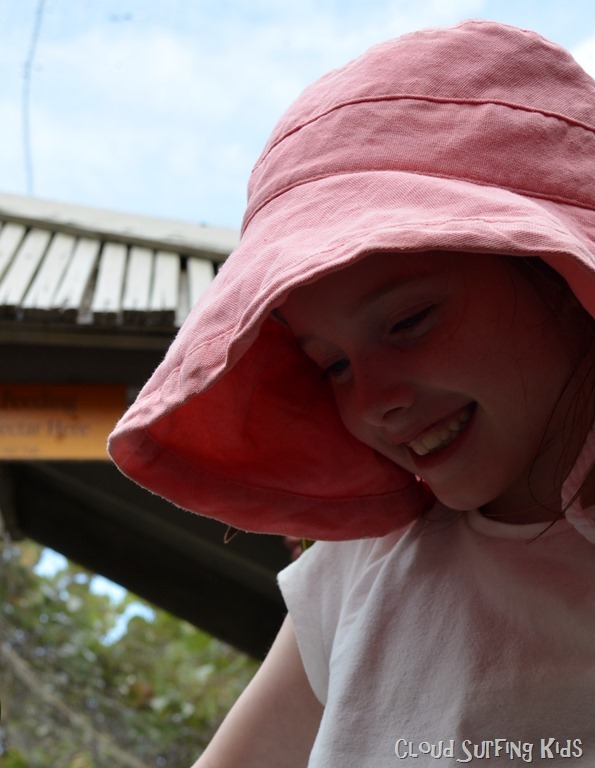 One way to help reduce the sensory overload is to let your child wear a floppy hat. This will help decrease some of the visual stimulation that is too much for them. Kind of like blinders on a horse, a floppy hat allows your child to focus on what’s before them instead of being distracted by everything else surrounding them. For more tips about helping your sensitive child when traveling, read my tips on helping your child stay calm on a plane. Does your child get overwhelmed by visual stimuli? What other tips do you have to add? Ella actually loves all the lights and activity in the airport and doesn’t get overwhelmed by it, yet she does love wearing her floppy hat. I think it helps her choose what things she wants to focus on. If you have a sensitive child, what are the things that make it most difficult for you when you travel? I’d love to hear about it in the comments below, or you can share with us on our Facebook or Twitter page.